When I saw the Estee Lauder Breast Cancer Campaign Box, I just couldn’t resist purchasing it. Now it has arrived, I’m set to share all the goodies inside with you! It has been 25 years since the Pink Ribbon campaign began, so to celebrate and continue to rasie money, this beauty box has been put together. It has a mixture of Estee Lauder companies products, from Bumble and Bumble to Glamglow. The box retails at £25, with £15 of every purchase going to Breast Cancer Research. The fact that it is a charity box is what sold it to me. You’re doing something charitable as you buy it! I think it would make such a perfect gift. I am completely new to this brand. I have had my eye on their Sunday shampoo for such a long time. The Pret a Powder is exactly the sort of hair product that this gal likes. Something to add volume, absorb any oils and give it a boost! This was the first product I tried from the box, and I can already tell it is a favourite. 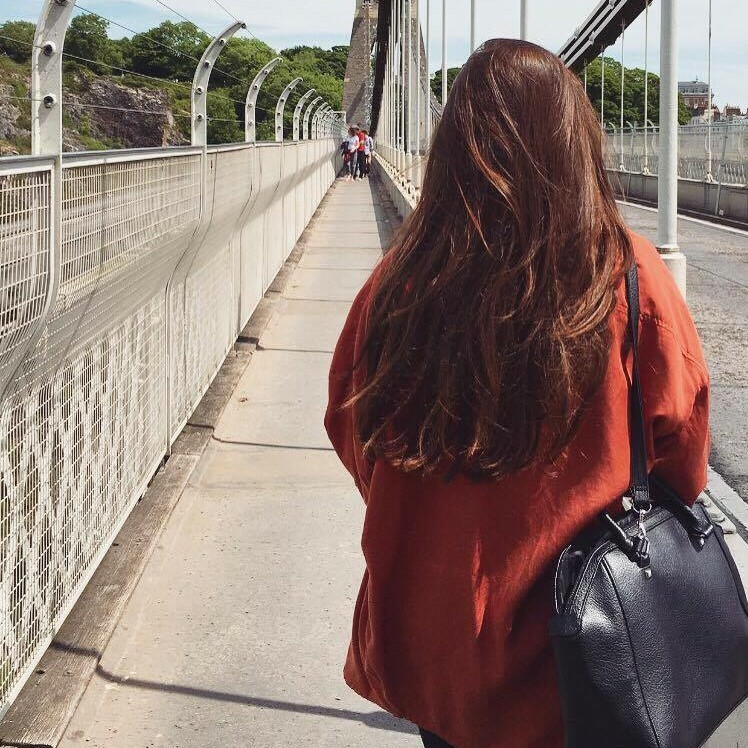 It suits my hair type perfectly. I had been using a Tresemme volume powder that worked to give body but just felt too sticky. The Pret a Powder does the same job, but feels light in my hair. 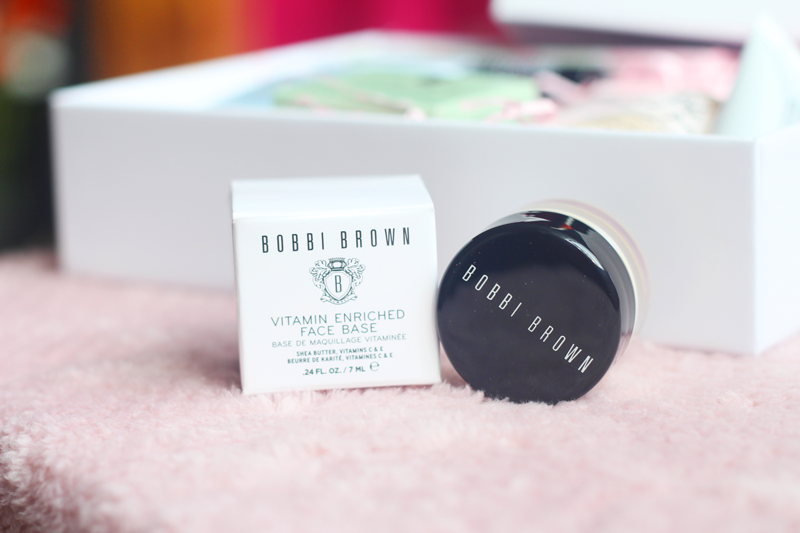 Seriously impressed by this little tub of powder. I was impressed to find that this is a full size product! 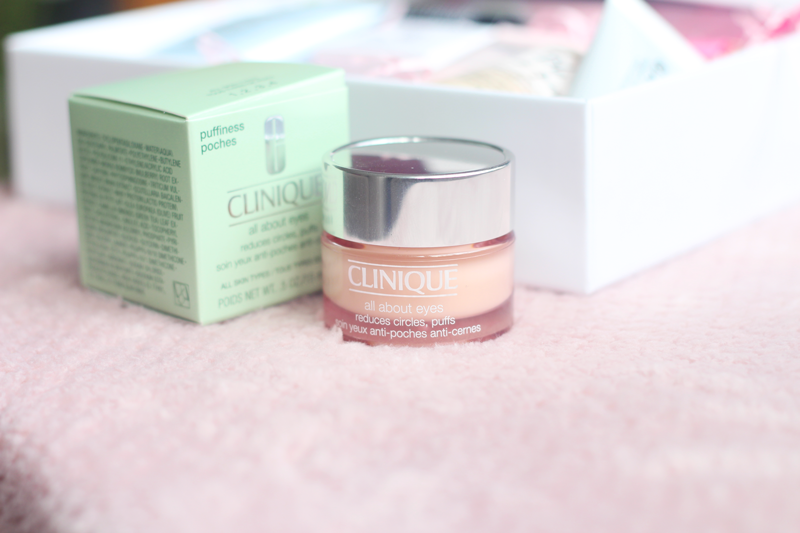 I have loved Clinque’s skincare range for a long time – my skin seems to get on with it really well. As a dry skinned gal, a good eye cream helps so much when it comes to makeup application. Again, I have used this one already. Can you tell I was looking forward to digging into the products? It is almost like a gel consitency, but is still a really nourishing cream. It blends into the skin so smoothly, honestly, it glides over any dryness or fine lines. I’m 20, but have fine lines underneath my eyes. This is more down to having dy/dehydrated skin than anything else, so I’m excited to try this cream longer term to see the results. A perfect travel size, next is this multi-use product from Estee Lauder. You can use this in two ways. As a simple foam cleanser, or as a mask. The guide states that you should apply for 3 minutes and then wash away, for a deeper cleanse. 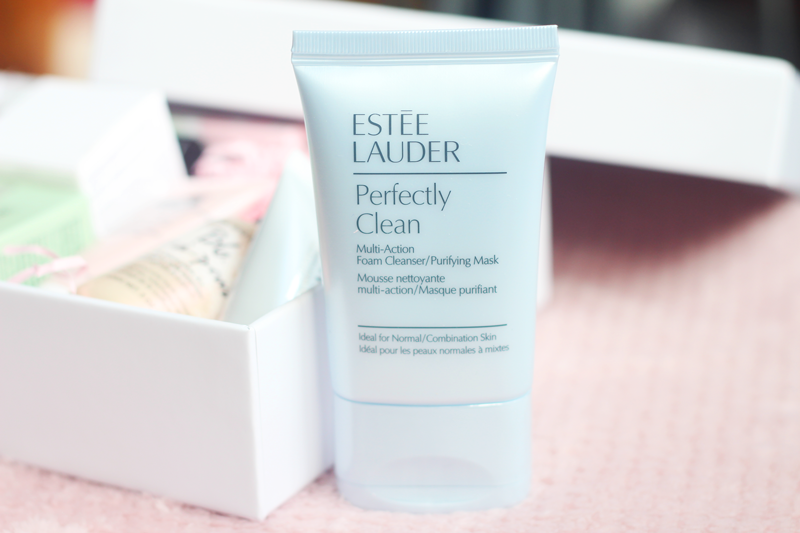 As you’ll know if you’re a regular reader, I love a good cleanser. I have two types that I love. The cleansers that leave your skin feeling nourished, and the type that leave your skin feeling really squeaky clean! Sometimes, only a realy thourgh cleasne will do. I have a feeling this product will fall into that category. I will report back once I’ve tried it. The first of the makeup products! I like having a couple of mini mascaras around, as they are great to pop in your bag for on the go. I am new to using Smashbox products. 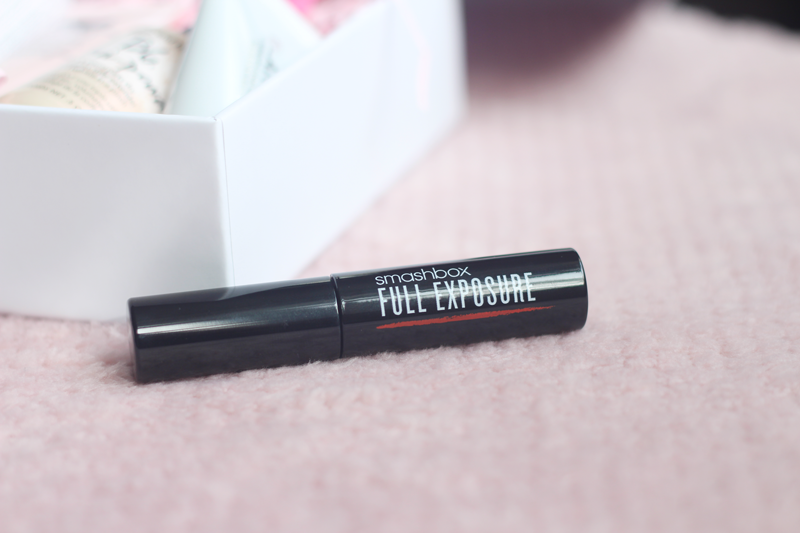 The Full Exposure mascara has a brush wand, opposite to what I have currently been using! I have very briefly tried this mascara, so a full review will follow. For now, I’d say it will probably be a good ‘un. The formula is really dark, which I love. It made my lashes look fuller, thicker and longer. For that reason, I am most excited to use it more. 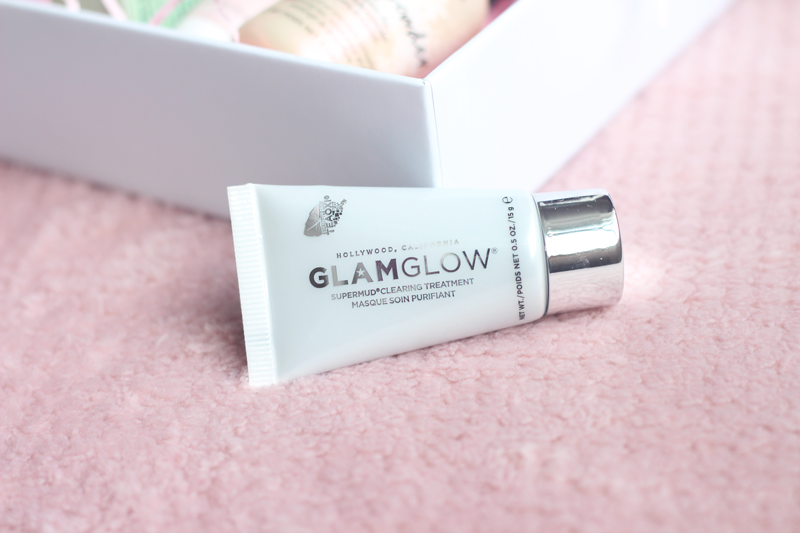 Glamglow is one of those brands I’ve wanted to try for the longest time, but didn’t because it seemed expensive! This is one of the main perks of beauty boxes such as this one, as they give you a chance to try new brands. I was very happy to spot this whilst unboxing! You can apply this one as a spot treatment as well as over your whole face! There’s nothing I love more than a good mud mask. I haven’t used this yet – but all I can say is that it smells amazing. The full size of this Origins mask retails at £25, so I am hoping to be impressed. Again, this smells absolutly incredible! It claims to be deep cleansing and pore minimizing. I have some visible pores on my cheeks and nose, so I can imagine using this in targetted areas for more frequent treatment. Its an amazing pink colour! I can’t wait to try this, I think I might test this one out tomorrow. I have had my eye on this product for the longest time. Retailing at around £42, I didn’t want to spend without trying it out first. So, this was a perfect addition to the box for me to try! This is set to be a primer and moisturiser all in one. I have only tested this on the back of my hand so far and it seems like a lovely, rich cream that blends so smoothly. Another product that smells lush, just like oranges. Ever find a your lips but better shade? This is a perfect example! It is a rosy, pink colour thats just looks healthy and glowy. 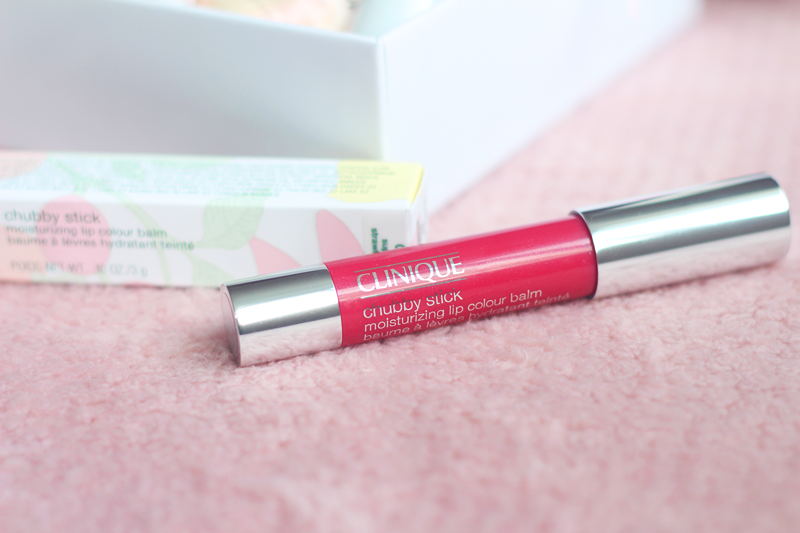 Clinique’s Chubby Sticks have built up a cult beauty status over the years – I know lots of people who keep one of these in their makeup bag. The colour is really sheer, just a subtle wash of colour. You could even pop this on without any other makeup on to add a bit of life to your face, which I definitely need! Well done if you made it to the end of this unboxing blog post – I know it was quite picture-heavy but I wanted to share a full unboxing with you all! 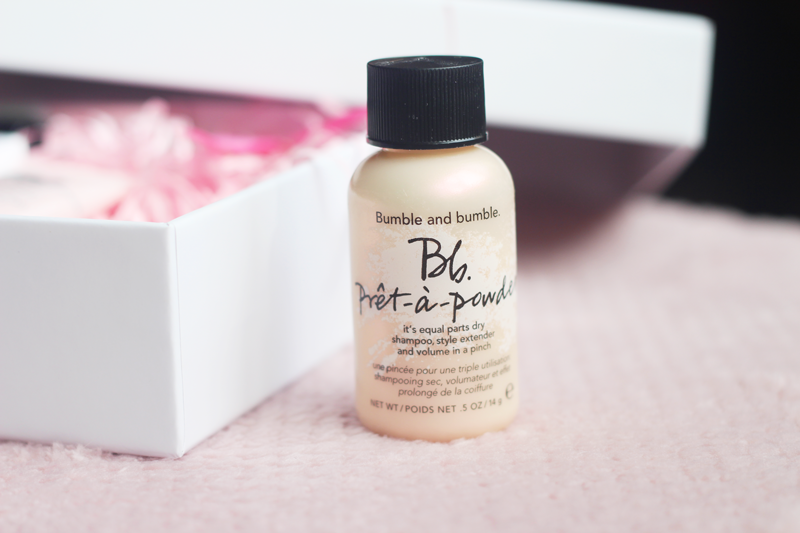 If you can still get your hands on this beauty box, I’m sure you’ll agree that it is worth treating yourself to! Previous Post Lush Bath Bomb Haul: Autumn/Winter! What a lovely box! So many great bits in there. Love that it’s a charitable box!